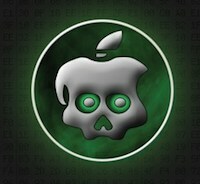 The first Verizon iPhone 4 jailbreak has been made available to download as an update to GreenPois0n RC5. The update comes as RC5.4 with the major change being support for jailbreaking the Verizon iPhone 4 running iOS 4.2.6. As pod2g notes, GreenPois0n RC5.4 should be considered as ‘early adopter’ software, so there may be some bugs to work out still. Our guide on how to jailbreak with GreenPois0n RC5 works the same for RC5.4 and will jailbreak any iPhone, iPod touch, iPad, and AppleTV2. You can follow our GreenPois0n updates as they become available. I have to give it to you well done. I used greenpois0n and happy to be untethered. Anybody know whether this version also able to use it on Ipad?? I have tried many times to jailbreak my iphone 4 4.2.6 using this software and it says it fails everytime. what am i doing wrong? Im having the same problem. Every time I try this it says it fails. can i jailbreak ios 6?